Dr. Ir Mohammad Bisri, Rector (University President) of the Brawijaya University and Dr. Max P. Guillermo, TAU President, entered into a partnership agreement on March 1, 2017 underpinning the intent of both universities to develop cooperation and exchange in all areas of mutual academic interest which includes development of joint venture projects between BU and TAU, organization of joint academic and scientific activities, such as courses, seminars, symposia or lectures, staff and student exchange as well as the exchange of materials and publications of common interest. The TAU officials (University President, CVM Dean and the Director for External Linkages and International Affairs) immediately engaged into a planning meeting with BU’s International Office headed by its director Dr. Ifar Subagiyo for the elaboration of the responsibilities of each institution for the identified initial activities, proposed budget, scholarship and sources of financing for the activities and other items deemed necessary for the efficient management of the joint ventures. 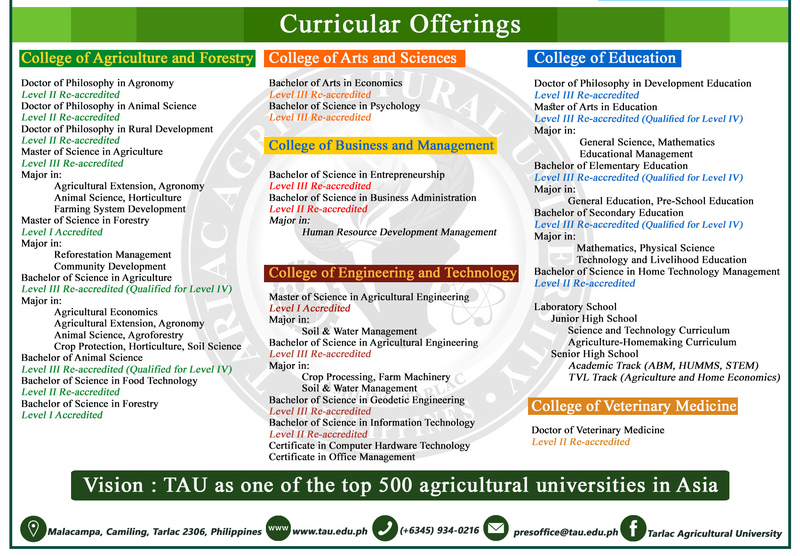 Moreover, TAU’s College of Veterinary Medicine and BU’s Faculty of Veterinary Medicine, duly represented by their deans, Dr. Ma. Asuncion G. Beltran and Dr. Aulanni’am, respectively, entered into a partnership agreement for academic collaboration and research partnership. They both agreed to start executing the partnership within the year and identified student skills enhancement, staff training or scholarship and joint research as initial activities. Meanwhile, Airlangga University, represented by Dr. Pudji Srianto, Dean of AU Faculty of Veterinary Medicine, also sealed linkage with TAU. The scope of cooperation includes exchange of scientific and instructional information; exchange of respective staff for research, teaching and collaborative activities; exchange of respective staff to participate in conferences, symposium, workshops and seminars; exchange of undergraduate and/or graduate students for specific periods of study through an organized study abroad agreement; establishment of articulation pathway and establishment of joint research projects on subjects of mutual interest.